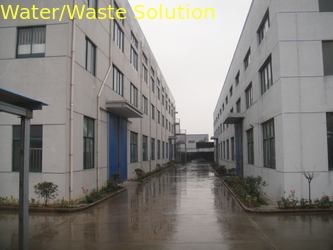 Located on the edge of Wuxi Taihu Lake, Loren Industry Co., ltd is the very earliest professional manufacturer of HFO equipments, waste water treatment equipment,and turnkey contract servie of a variety of sewage water or waste water treatment solution ,environmental and energetic equipments and package server of integrated engineering like Aitai Power project, Sihanoukville Special Economic Zone Project and complete heavy oil projects in Nigeria. Our products of fuel booster modules, separator unit, fuel discharge and transformed modules , bilge water separators and sewage treatment device like Mechanical screen ,screw shaft compactor, dissoved air flotation machine , sedimentation tank and sludge or scum scraper , thickeners and clarifiers , belt press filter , screw press filter , horizontal centrifugual machines,plate press filter , sludge silo, auto polymer dosing sytem , a variety of meachanical filter , RO plants , EDI , UF, UV , are warmly welcome in both domestic and international market, we also provide other matching products such as hot well unit, heaters , heat exchangers , oil injecting cooler, Storage tanks, silencers, filters, soft water treatment, pressure vessels, etc. Its main technician and marketing staff all have higher learning and good commend of profession and rich experience, its servers of after service gain professional training and provide best service. We are in pursuit of providing harmonious environment for human health, and providing clean and energy-saving guarantee to environmental protection equipment and service as well as taking our customers ‘ maximum benefit of investment and business as our task by sticking to commitments, renovation, challenging so as to promote the healthy development of overseas environmental market and contribute ourselves to improving our manufacturing level into a continuous high level .